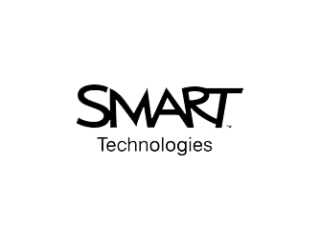 SMART Technologies has been acquired for a cash payment of $4.50 per Common Share by Foxconn Technology Group. "We are very excited by the proposed acquisition of SMART by Foxconn, who is the world's largest electronics manufacturer," said Neil Gaydon, president and CEO of SMART. "SMART has built an enviable global brand in both the education and enterprise spaces. The proposed transaction with Foxconn provides us with one of the strongest global electronics partners with access to significant resources, a broad range of new technologies, markets and financial resources that will enable us to accelerate our strategy and position SMART for significant future growth." The agreement provides for the implementation of the arrangement by means of a plan of arrangement under the Business Corporations Act of Alberta. The Arrangement Agreement contains customary representations and warranties of each party, non-solicitation and interim operations covenants by SMART, and right to match provisions in favour of Foxconn. The agreement provides that any subsidiary of Hon Hai Precision Industry may participate in the investment in SMART, and strategic partners designated by Hon Hai Precision Industry may, collectively, participate in up to 33.33% of the investment. Further, the agreement provides that a termination fee of US$8.9 million will be payable by SMART in certain circumstances, including if SMART enters into an agreement with respect to a superior proposal or if its Board of Directors fails to recommend the proposed arrangement to shareholders in the prescribed manner. The arrangement is subject to customary conditions for a transaction of this nature, which include court and regulatory approvals and the approval of two thirds of the votes cast by SMART shareholders at a meeting to be called to consider the Arrangement (the "Special Meeting"). All of the directors, certain of the officers of SMART and certain of its shareholders have entered into lockup agreements in which they have agreed to, among other things, support the arrangement. An information circular regarding the Arrangement is expected to be mailed to shareholders in June 2016 and a meeting of shareholders is expected to be held in July 2016 with closing to occur thereafter. A copy of the Arrangement Agreement will be filed on SMART's profile on SEDAR and EDGAR and will be available for viewing at www.sedar.com and www.sec.gov, respectively.